Logins this hour: 26175 ? To begin the next academic year's schedule, you must first install the next year's version of OnCall. You may need to renew your license. To move an existing copy of OnCall to the next year, go to the Help menu, choose Update OnCall. Select advance to the next year. If the auto-update doesn't work, get the new version from the download page and install from there. Be sure to close OnCall before installing the update from the download page. Let the new version overwrite the existing software. (The auto-update will do so automatically.) You do not need to keep old copies of the scheduler. You can open and edit previous years with the new software. Start the Amion scheduler and bring up the current year's schedule. The screen should look similar to what you've been using. Go to the Help menu and choose About OnCall to confirm that you're running the new version. Go to the File menu and choose Convert. The conversion creates a template for the next year. It does not overwrite or affect your current year's schedule. The conversion saves you from having to re-enter all your staff, rotations, clinics, contact info, and other settings that remain the same each year. If you don't have a Convert option and the version year in Help / About OnCall still shows the current academic year, the software update failed. Try installing or updating again. If the full install from the download page says "Extraction completed with 38 warnings", you don't have permission to overwrite files on the drive. Contact your IT dept for permission to install new software. After you convert the schedule, save it under a new filename. Include the year in the filename, such as "Master_10-11". You now have two schedule files. You can go back and forth between the two as needed. You can also publish either schedule to the web site without affecting the other. Amion.com will pull data from the two years to produce one contiguous display. The conversion feature gives you a template for the next year but it does not delete graduating seniors or move residents up a year. That's something you need to do. Removing people from next year's schedule will not affect the current year; you can continue to schedule the graduating seniors whenever you have the current year's schedule on screen. In the new year's converted schedule, put the block schedule for your graduating class on screen. Make sure you have just the one class displayed; names down the left should be in black. If names are in color, go to the View menu and turn off the All staff option. If you have off-cycle residents who will still be under the same staff type for the first part of next year, click on the person's name and go to Edit → Move to. Move the person down one year before you remove the staff. Click on a resident's name in the first column. Go to the Edit menu and choose Remove. In the Remove box, click to Remove all PGY-3 staff. If you have other block pages that contain residents who will also have graduated come July, repeat the same steps for the other staff types. When you're done removing all the graduates, bring up the block page that has residents who will be the new seniors. Go to the Edit menu, choose Move all to and move everyone to the senior page. Continue moving residents up by one year until you end up with a blank intern page. You can then click the + where the first new intern's name should go and enter your new interns. If you have an Excel spreadsheet with the names of the new interns, you can copy and paste into Amion rather than retyping all the names. On the block schedule, click where the first name should go and paste in the column of names. New interns you add go in at the end of the existing list of residents. With just the intern block schedule on screen, you won't notice that the interns come after all the other residents in the overall list of staff. If only one class is on screen (names down the left are in black), go to the View menu and turn on All staff. Here, new staff will appear below the returning residents. To reorganize the list so that interns appear first followed by the 2nd years etc., go to the Options menu and choose Sort Rows. With all staff displayed, OnCall asks whether you want to group people by staff type first. Answer "yes". OnCall sorts classes in the order in which block page icons ( ) appear on the main toolbar. You can drag and drop page icons to rearrange their order. OnCall will not resort names automatically after you drag and drop page icons. Go to Options / Sort Rows to sort names to reflect the new class order. The conversion function does not clear people's block schedules but when you move a class from one page to another, you can opt to clear the page of all assignments. If you have a page of staff who do remain under the same staff type, you can highlight the entire page and clear the block assignments with the Delete or Backspace key. Click on the first person's first block assignment. Hold the Shift key down and move use the mouse or the cursor-arrow keys to move to the last person's last block assignment. The table should light up in white. Click Del or Backspace to clear the selected cells. When you convert a schedule from one year to the next, OnCall tries to keep people's continuity clinics and remove all other clinics. If you want to clear everyone's clinic schedules, click on a person's name in the left-most column of a block schedule. In the Infobox, select Clinics and then click one of the half-blue rectangle buttons in the upper-left corner of the Clinics, conf's box. In the Add Clinics box, clear all the checkboxes at the top, select All year and turn on Clear year of existing clinics. In the lower-right, open the drop-down selector that shows one person's name and select All staff. Hit Clear & apply to clear all clinics for all staff. The conversion feature copies the tail end of the current year's call schedule to the beginning of the next year. 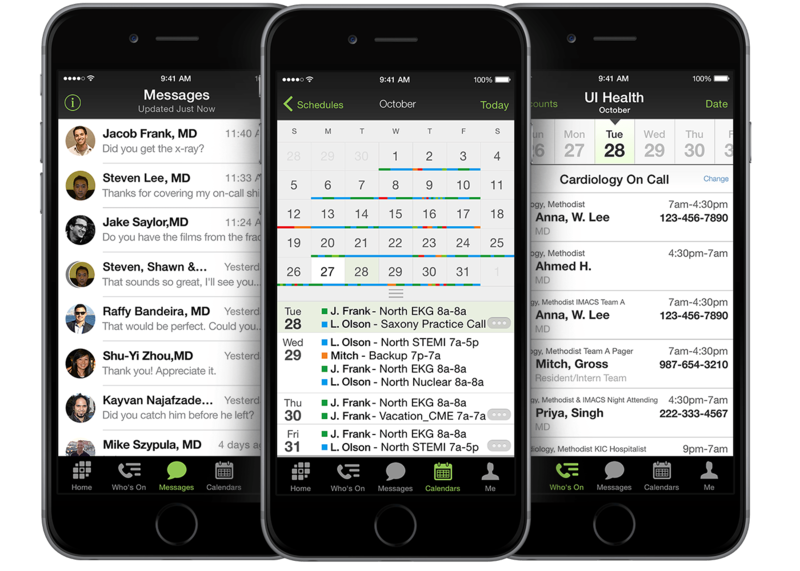 If your June call schedule is complete when you convert, OnCall will be able to flag call nights from the end of the previous year's last rotation to help ensure you don't put people on call too close together at the beginning of the new year.